Normally, we get a review every other day. But today, we suddenly got four for our Hiragana and Katakana – Complete Basics of Japanese! And I love all four. Most Easy And Effcient App For Learning Japanese On The Appstore. From Learning To Writ(e) Japanese (Katakana & Hiragana) To Reading Stories & Writing Them With Perfect Grammar.This Is A Perfect Combination Of What A Newbie Needs for His/Her Japanese. It’s a great app for beginners just taking the first steps as well as more experienced people. I’ve studied for more that a year and this app has clarified many things I might have otherwise never understood. The only complaint I had was that the search option was very limited so I got a japanese dictionary app to compensate because I wanted to search words I had heard but didn’t know that meaning of.the search option needs to be like a dictionary with a database that doesn’t need Internet. That would make this app the best Japanese learning app on the app store. Easy to use. Great study tool. I had the sudden spark to learn Japanese before school and this app helped, it helps you remember, gives you quizzes and examples. It’s absolutely perfect. 5 stars. Neat! That makes my day. BTW, if you have an iPhone or iPad and you are interested in learning Japanese, this app is free and easy to use. Download it now. It is ad supported, but I guarantee the ads are unobtrusive. I LOVE reading rave reviews for our products. Of course, it is like candy. 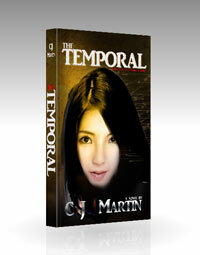 It is far healthier review would be a three or four star with suggestions for improvement. Very pleased! – This app is excellent for learning to read, write and speak Japanese starting with the different alphabets. I have been using this to supplement my learning, and it has been a wonderful tool to help me to quickly learn the alphabets. I am also using Rosetta Stone, but found it difficult to associate the written words with the pictures using that program (unless in romanji). This app has made learning the alphabets and words unbelievably easy, and helped me over the block that I was facing… Additionally, the support/(author?) of this app is extremely helpful and quick to respond. I had a technical question (which turned out to be my own user error). I shot an email over–the response was quick, friendly, and my problem was solved by the next morning! I highly recommend this app! 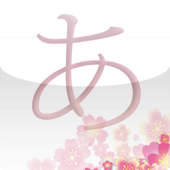 If you have an iPhone or iPad and would like to learn Hiragana and Katakana, try out our app. It is FREE (ad-supported). That means, it includes everything you need to know to learn hiragana and katakana. Click to view in iTunes–it’s FREE! Quickly master both Hiragana AND Katakana in one app. Purchase once and learn on your iPhone, iPod Touch, or iPad for no extra charge. Ever wanted to learn Japanese but didn’t know where to begin? Learning hiragana first is often suggested by Japanese teachers and many textbooks (Genki, Japanese for Busy People Kana version, etc) virtually require it. This app will help you master both syllabaries* quickly and painlessly. This app has over 250 sound files featuring all the main hiragana and katakana characters (we will be adding all of the combination characters soon as a free update!) and about 150 example words using characters learned. If you are sure you want to learn Japanese, you may want to grab our “Japanese Phrases & Lessons” app instead (or you can click on our “TheJapanesePage.com” link at the top to see all our apps). 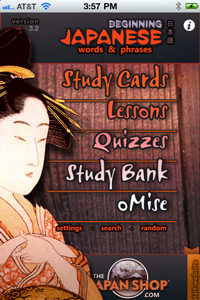 This includes most (but not all) of what is here for hiragana and katakana AND also includes kanji and grammar lessons plus almost 3,000 sound files of common words and phrases. * Although often called “alphabets,” Hiragana and Katakana are more properly called “syllabaries” since each character more or less represents a syllable.